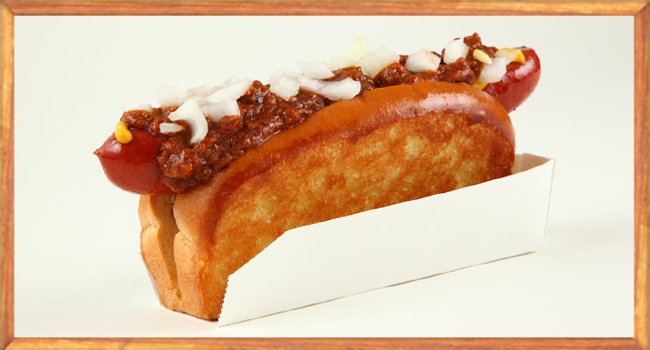 Our gourmet Chili was developed exclusively for Dave’s Doghouse by one of L.A.’s Top Chefs, Josiah Citrin. owner of the acclaimed Melisse Restaurant. Melisse is often named the best restaurant in L.A.
Next time you are in Dave’s Doghouse you have got to try the chili! Our chili can ALSO be served on your French fries. Served on our famous Signature Bun.